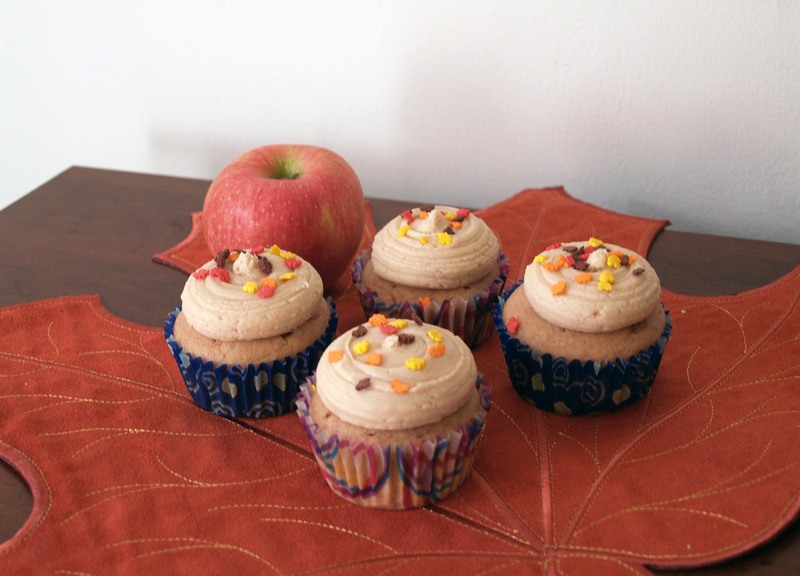 Caramel Apple Cupcakes | I Wanna Bake! Seriously, this cake is ridiculously good. The recipe is based on this one from Sally’s Baking Addiction, and it’s so good that I found myself thinking that I would eat it without frosting, which is unheard of for me. 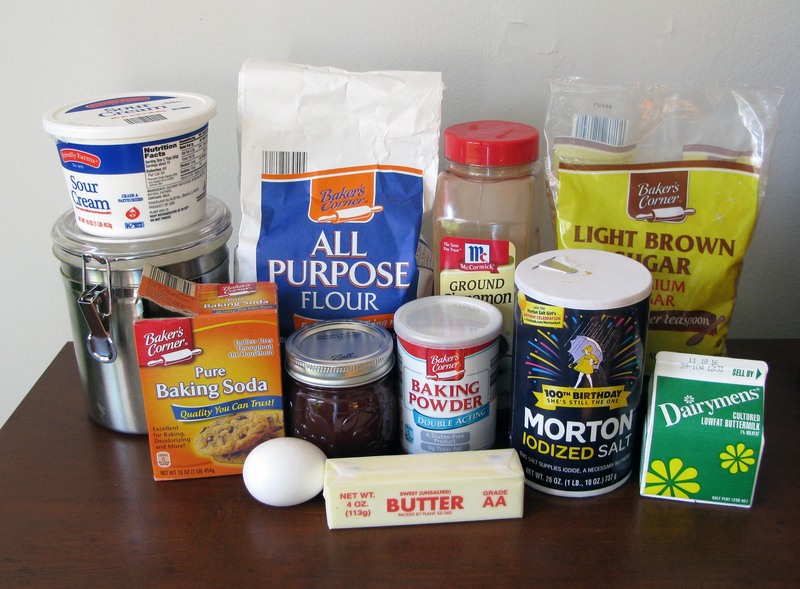 [Related: you may soon see a muffin based on this recipe coming up.] I used buttermilk instead of whole milk for added moisture and swapped apple cider syrup for vanilla extract, but left the recipe otherwise unchanged. 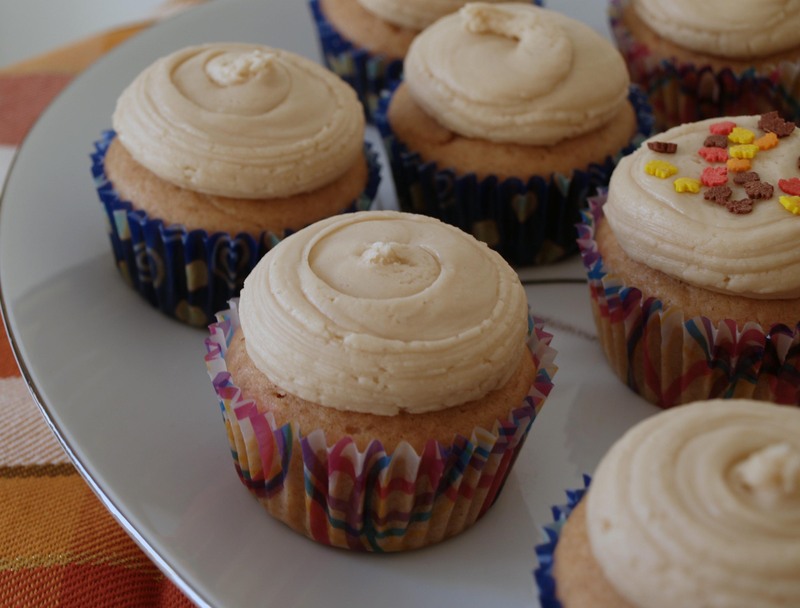 I also used Sally’s recipe for caramel frosting, my only change being the omission of salt (if you like salt in your caramel, be my guest to leave it in). At some point over the weekend, Whip It got stuck in my head and would not get out. Rather than giving in and listening to Devo, I made a compromise and went with the Talking Heads again. Whatever you choose, don’t give in to tyrant earworms. Preheat your oven to 350°F and line 12 cups of a muffin tin with cupcake wrappers. 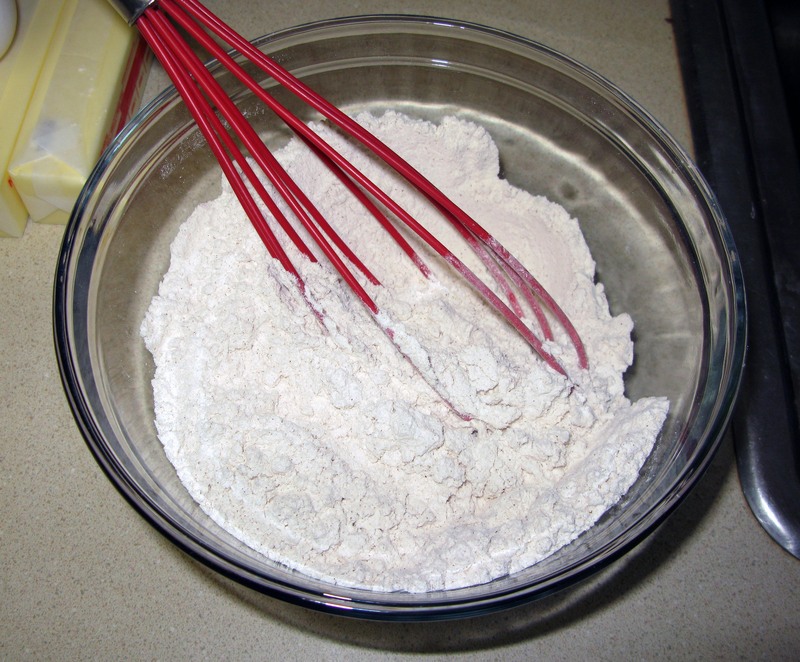 In a medium bowl, whisk together the flour, cinnamon, baking soda, baking powder, and salt until uniform. Set aside. 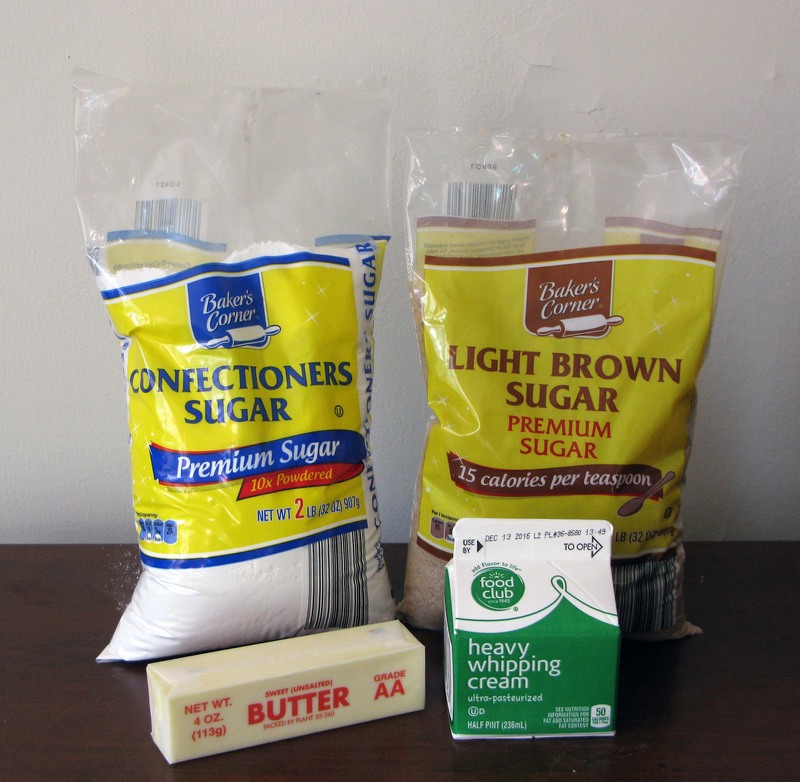 Melt the butter and whisk it together with the brown sugar in a large mixing bowl until the sugar is completely dissolved. 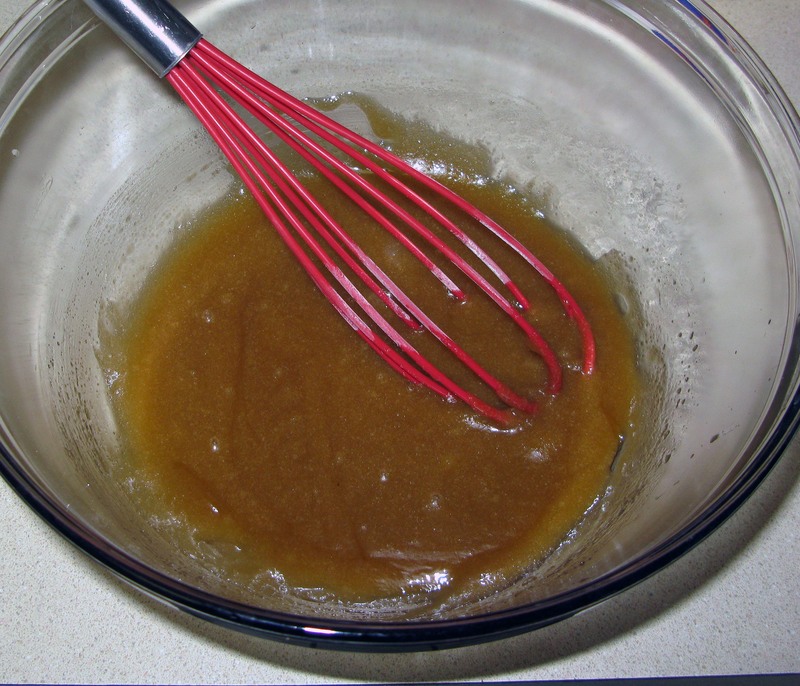 Whisk in the egg, apple cider syrup until smooth. Stir in the dry ingredients just until there are no more lumps (do not over-mix). 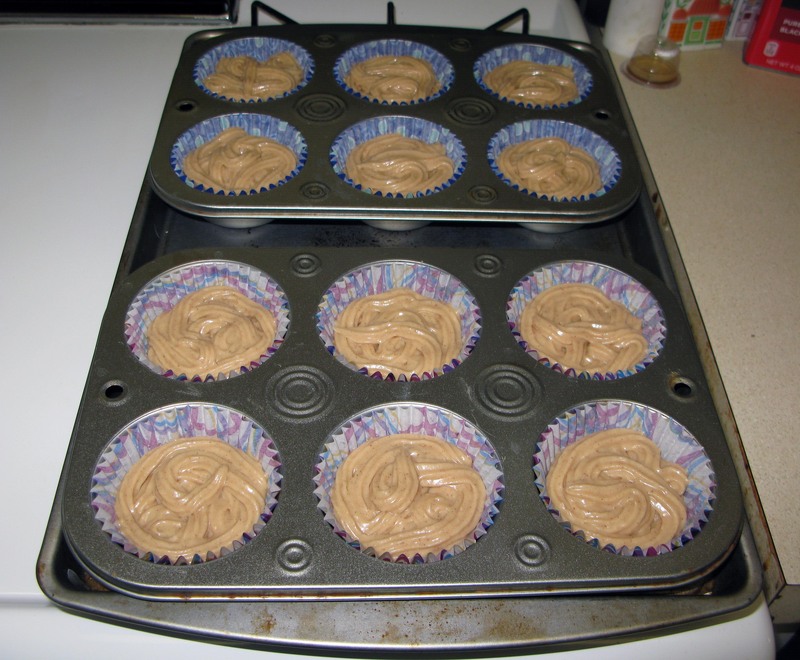 Fill the cupcake wrappers approximately ¾ full with batter (it should divide roughly evenly between the 12). I used the Wilton Perfect-Fill Batter Tip for this, and it made things really easy. Bake the cupcakes for 20-23 minutes, or until a toothpick inserted in the center comes out clean, and the tops spring back when pressed lightly with a finger. 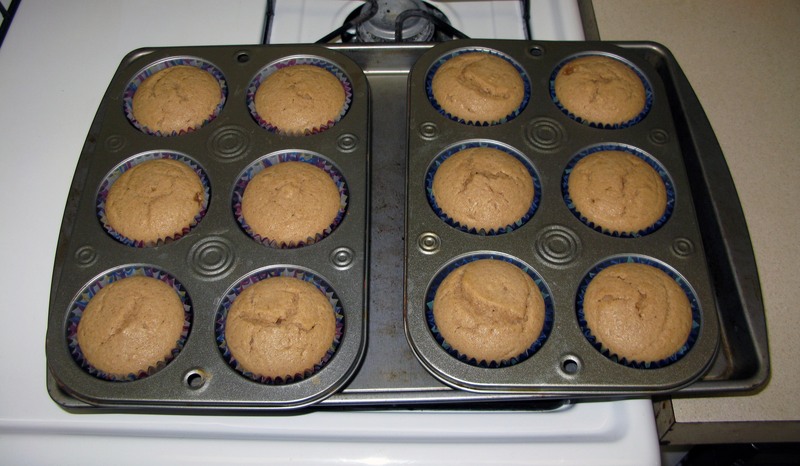 If the cupcakes feel or sound at all like a sponge being squeezed when you press on them, they’re not quite done. Give them another 2-3 minutes to bake the rest of the way. Remove the cupcakes from the muffin tins and leave them to cool completely on a cooling rack before decorating (try not to eat them all before they’re frosted). Meanwhile, melt the remaining stick of butter in a small saucepan over medium heat. 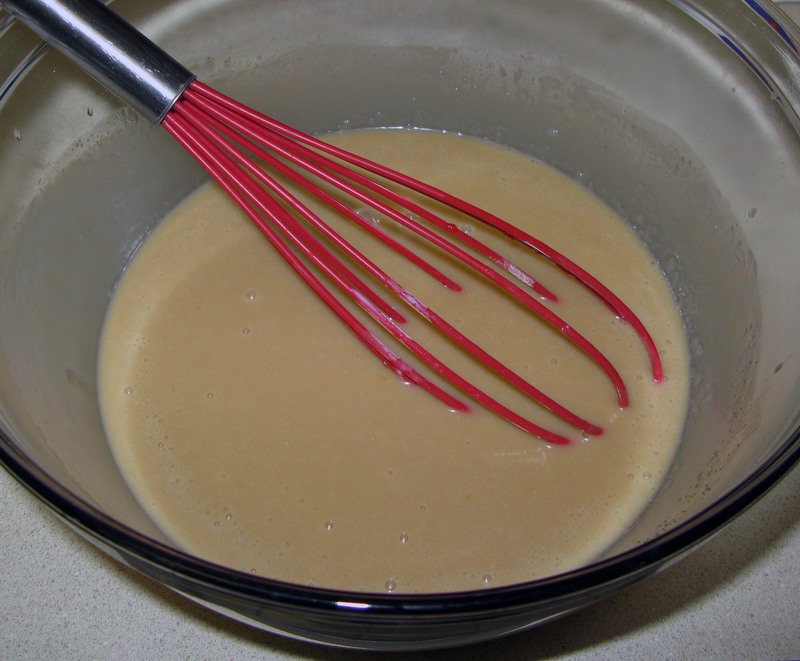 Whisk in the brown sugar and cup of heavy cream until the sugar is fully dissolved. Bring the mixture to a boil, then let it work its magic for exactly 3 minutes. Remove the caramel from the heat and let it cool at room temperature for 15 minutes (I chose to pour it into the bowl I would use to make the frosting at this point). After your 15 minutes are up, add the remaining 2 Tbsp. 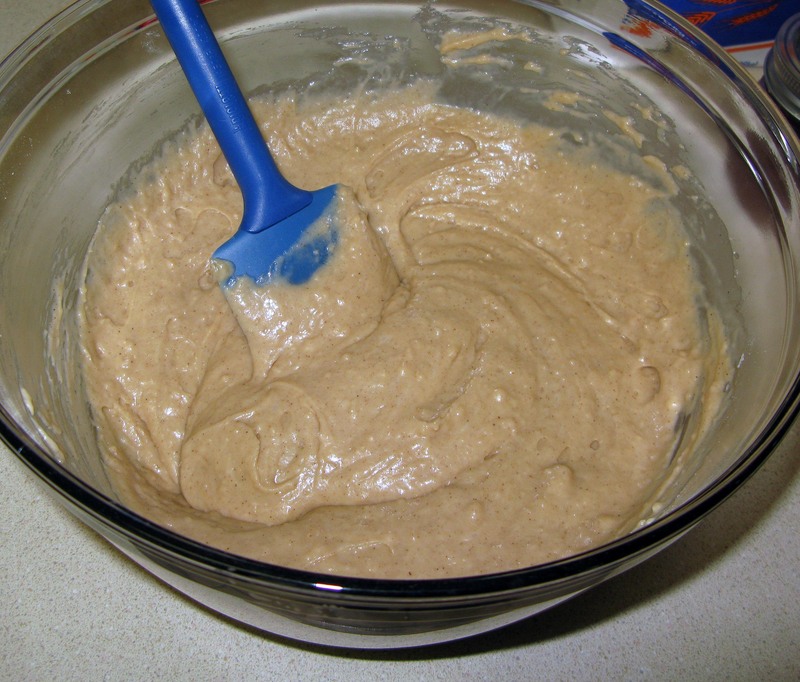 of heavy cream to the caramel and beat it with an electric mixer until smooth. Beat in the powdered sugar, 1 cup at a time, until it turns into a thick, creamy frosting. Apparently I forgot to photograph this part… sorry. When the cupcakes are cool, decorate with frosting as desired. I chose to load it all into a piping bag fitted with a Wilton 1A round tip and make frosting blobs. To do so, squeeze a little frosting about ¼” out of the decorating tip, then press it onto the top of a cupcake right in the middle. Continue to squeeze the decorating bag, without moving the tip, and the frosting will slowly spread outward. If you find you are a little off center or your frosting mound is getting a little too tall, you can gently move the tip while you squeeze to nudge the frosting in the right direction (that’s how I ended up with some nice swirls). If they don’t come out nice, fear not! You can just lift off the botched frosting and do it again. You can easily serve these as is, or you can decorate the cupcakes with sprinkles, chopped peanuts, mini chocolate chips, or a drizzle of some additional apple cider syrup (mmmmm). Store leftovers (if there someone are any) in an airtight container.